On Saturday night, undefeated boxer Floyd Mayweather Jr. defeated Manny Pacquiao for what people were calling the "Fight of The Century" and, well, it was kind of lacking, to be honest. Two of the top boxers in the world finally entered the same ring at the MGM Grand in Las Vegas, and there were only some cool jabs with a victory that was a decision made by judges. 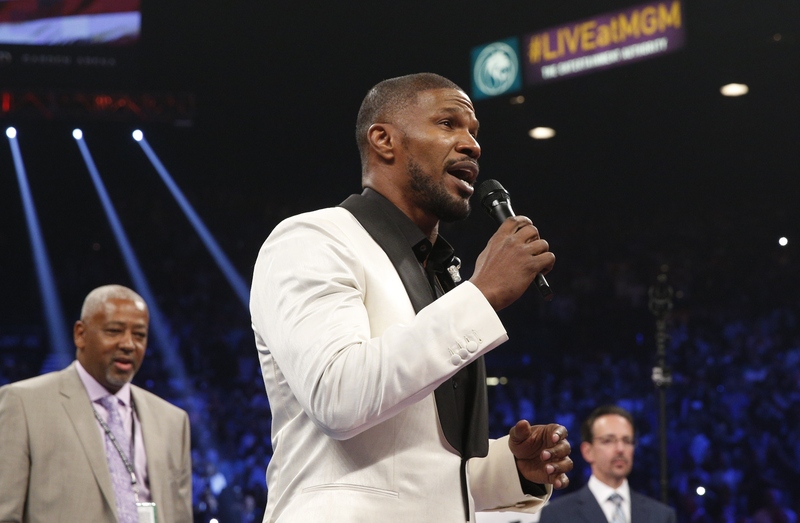 But it's nothing like some of the tough jabs aimed at Jamie Foxx's rendition of the U.S. National Anthem sung before the fight. Reviews on Twitterhave definitely been mixed and mostly negative — and people are still talking about his performance on Sunday. Twitter has not been kind to the Oscar-winning actor, who once portrayed Ray Charles on the big screen in the movie Ray. We all know Foxx can definitely sing — in addition to Ray, he also sang in last year's remake of the musical Annie, and he has released five studio albums as a singer. But it almost seems like Foxx's soulful version of the national anthem — which I will admit, was very different — is drawing more attention than the actual fight between Mayweather and Pacquiao itself. Foxx tweeted before he stepped out into the ring that he was ready for the national anthem, but maybe all of us weren't quite ready for his take on it. Here's what Twitter's been saying — the good, the bad, and the ugly. Check out the performance below to judge for yourself.